Well we are a bit past mid way through the month and it feels the year is getting away quickly, as it always does at this time of year! We are about to head into a busy time with lots of birthdays, school fete and fathers day so I know my spare time is going to be whittled down. Ahh well, that is life! 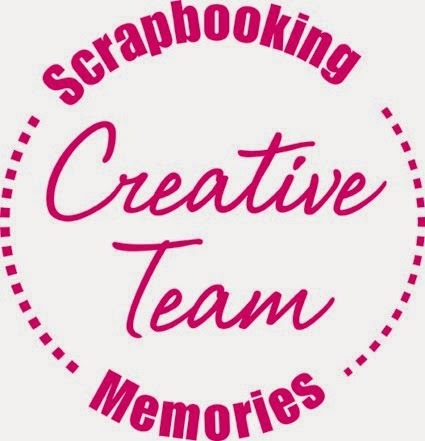 So, I am here to share the page that I created for the Scrap the Girls August challenge. 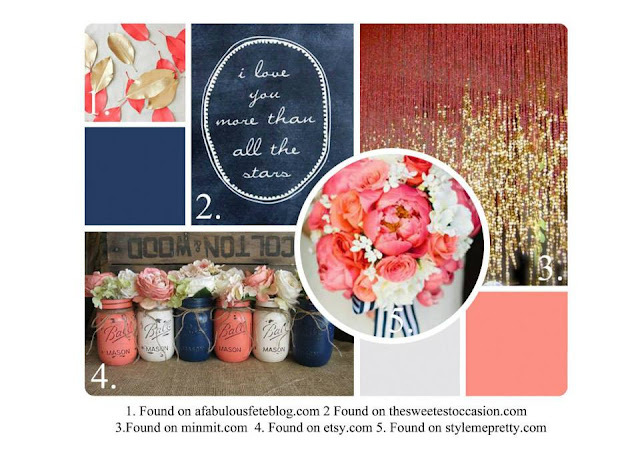 This month is a gorgeous mood board that I instantly fell in love with. On my background I used some peach coloured Kaiser Mist and some faded jeans Distress Ink. To continue the diamond shape through the page I also cut two diamond shapes from card coloured with the peach mist and then spread gold pearl texture paste on the other half to create the dip dyed effect. 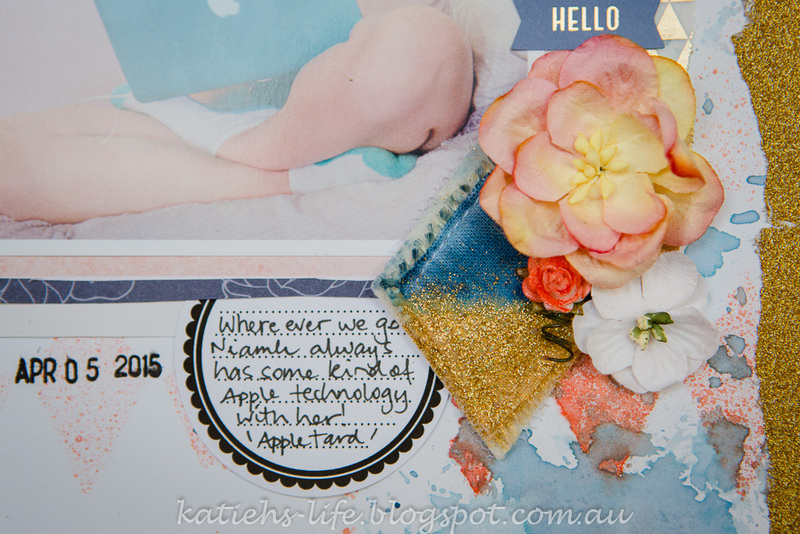 The little roses are white coloured with the mist too, and you have to love some gold flair from D-lish Scraps! Here is a close up of the DIY diamond. I used the faded jeans distress ink to colour the top half of the diamond and then I soaked some embossing ink into the bottom half and used some gold tinsel embossing powder on the bottom half. 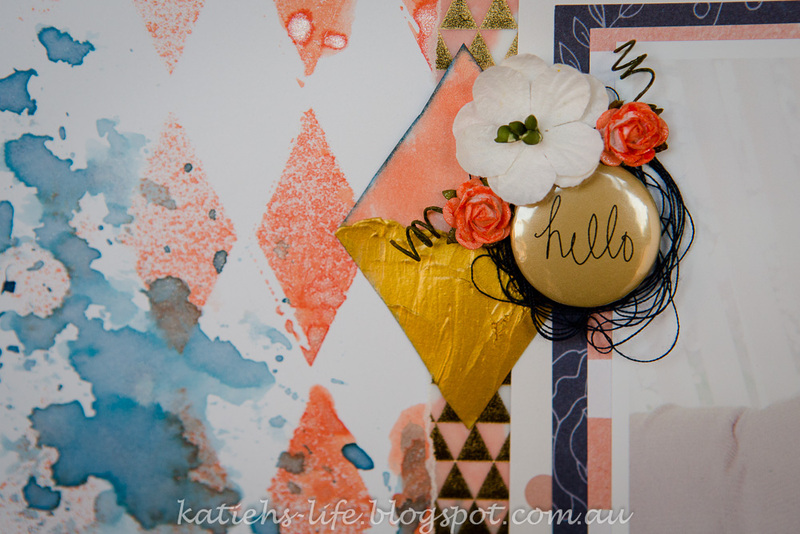 While the embossing powder was still hot I sprinkled some more on the give it a little more thickness. I really love how it turned out! On the title I coloured some white Basic Grey letters with my gold Wink of Stella pen. So there you have it. 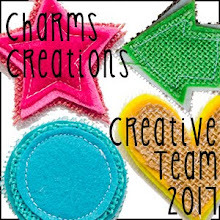 my glittery and shiny girls page! Katie I absolutely love this....you've totally rocked the diamonds!! Looking forward to being on the STG team together.! Katie, I love that Charm diamond. Embossing - what a great idea! Oh my, this is absolutely gorgeous Katie! 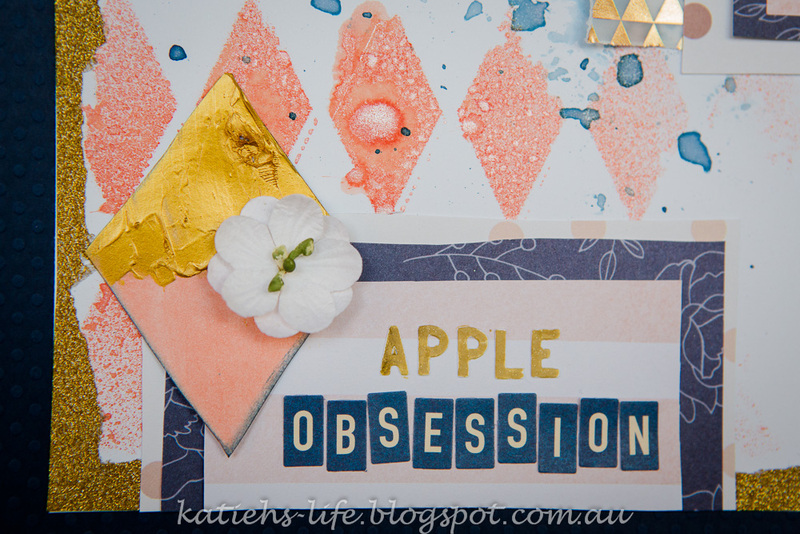 Love the pops of gold and your background work! Totally love how you have used gold! And the Charms is perfect! 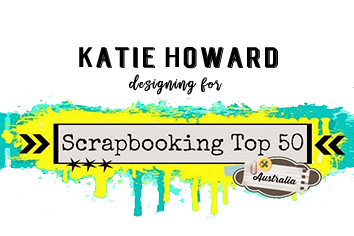 Thanks for joining in at Scrap the Girls!